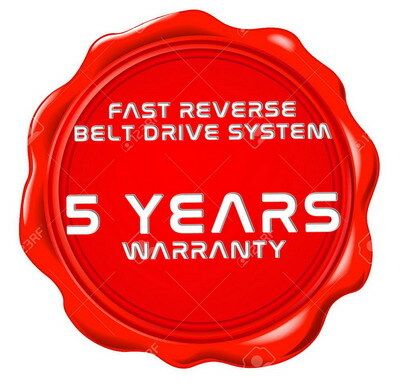 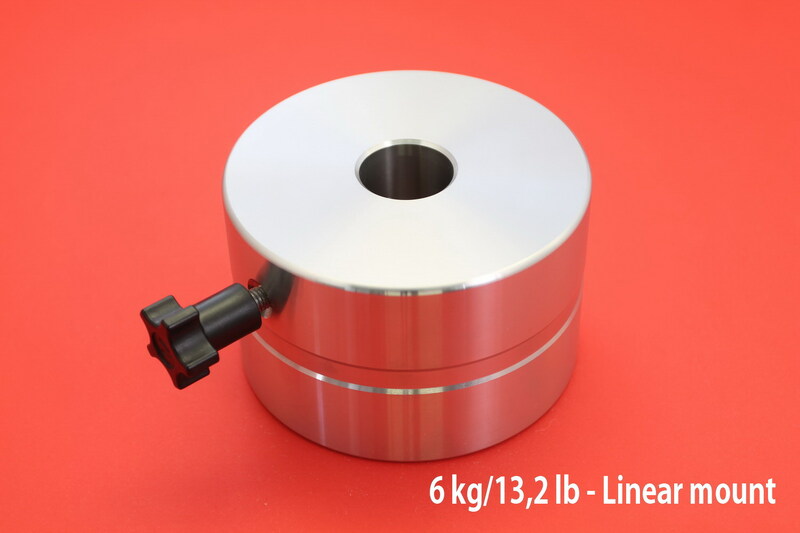 New additional counterweights high-quality system stainless steel. 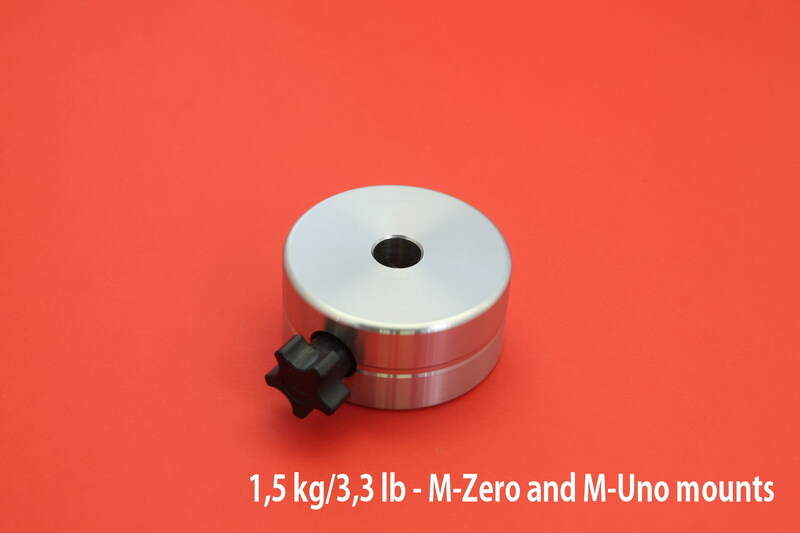 Anti scratch locking brass pin. 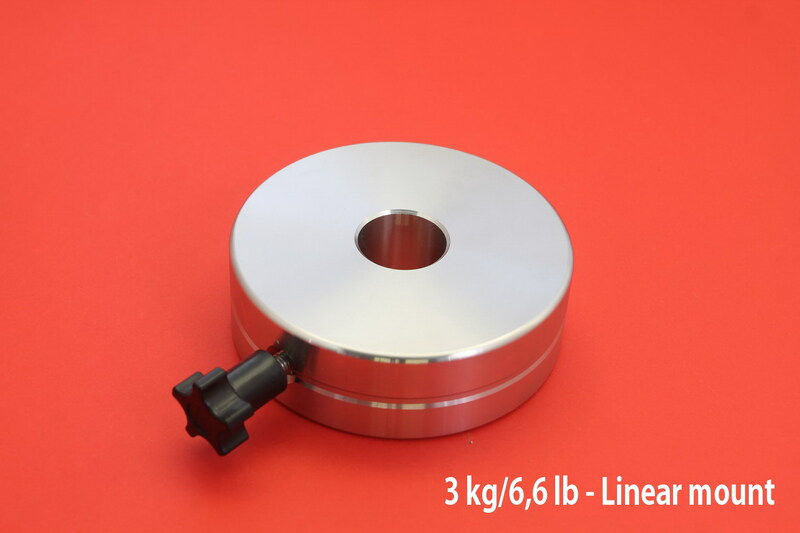 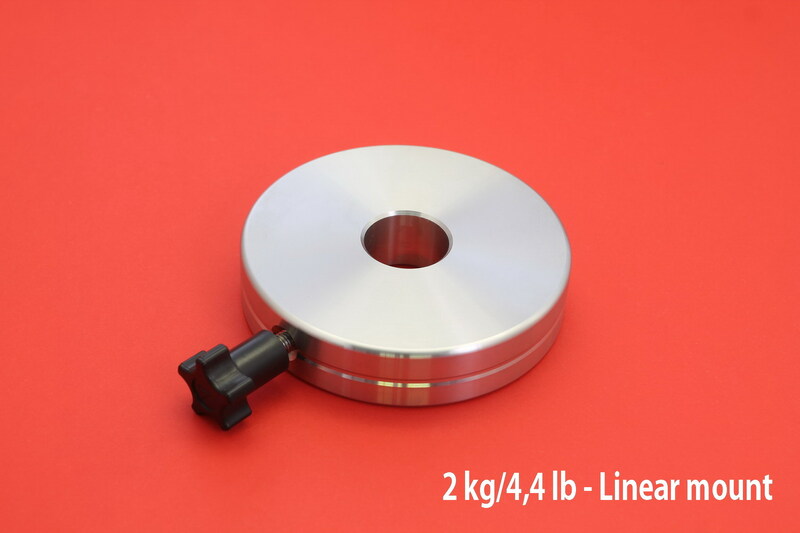 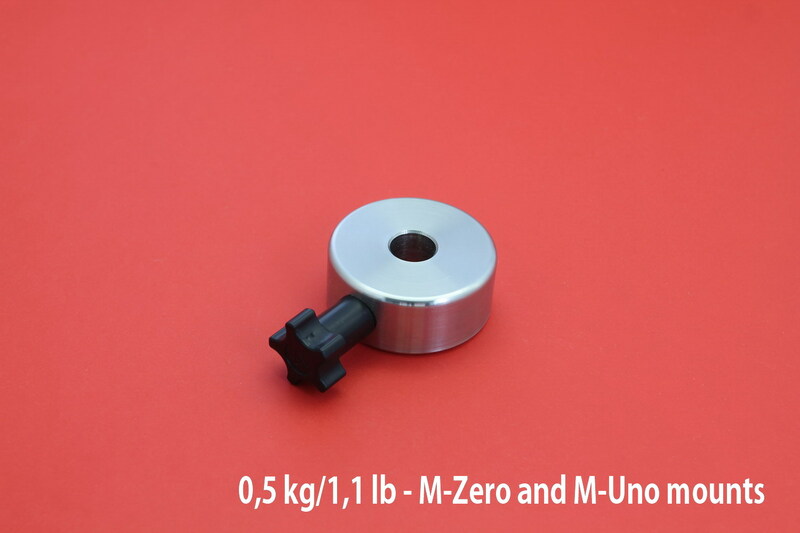 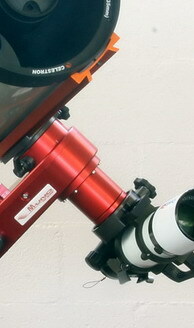 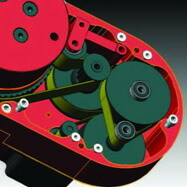 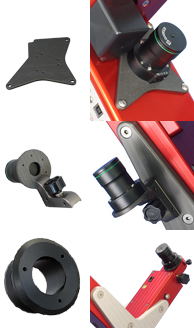 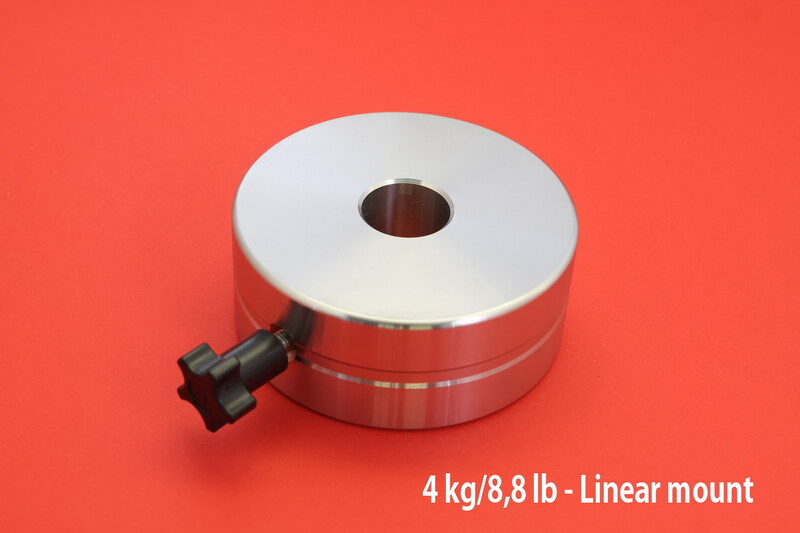 2 kg/4,4 lb – 3kg/6,6 lb – 4kg/8,8 lb – 6kg/13,2 lb for Linear Mount inner diameter 30mm, outer diameter 118mm.